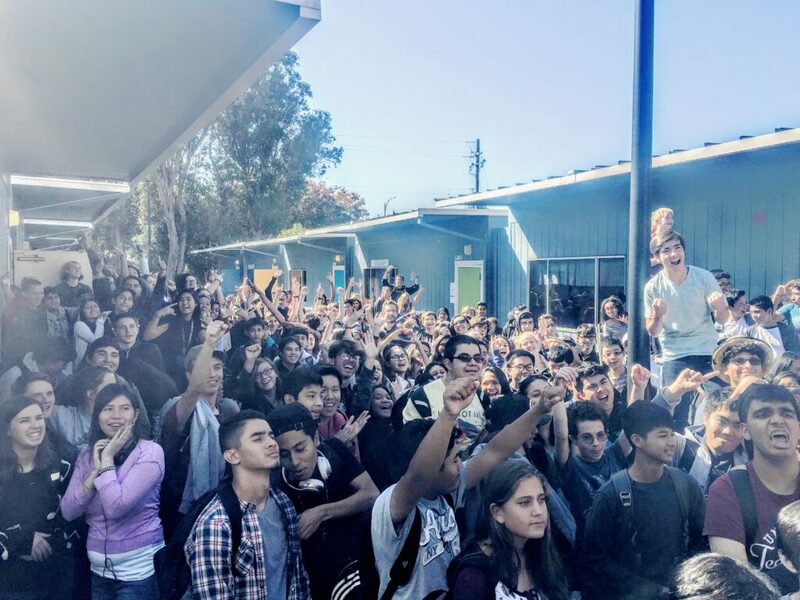 Students at Summit Tahoma in San Jose react to learning that Summit Public Schools won $10 million in the XQ Super Schools contest. Three California schools are among 10 nationwide that were awarded $10 million each on Wednesday to “reimagine high school,” as part of a year-long contest backed by an organization headed by Laurene Powell Jobs. All three schools focus heavily on tailoring instruction to individual students, yet each have different goals and serve students in different parts of the state. The Summit Public Schools system plans to open a new campus in Oakland to help students explore career options. Vista High in San Diego County is challenging students to co-create curriculum with their teachers based on United Nations Sustainable Development goals. And a proposal to create a new school called Rise High in Los Angeles won for the services it plans to provide to disenfranchised students, including homeless and foster youth. The proposals were chosen from about 700 entries in the XQ Super School Project contest. The XQ Super School Project was launched last year, backed by the XQ Institute, which is an organization dedicated to creating new learning opportunities for students with ties to the Emerson Collective, established by Powell Jobs, who chairs the institute’s board of directors. She and high-­profile celebrities, elected officials and others known for promoting education participated in an event Wednesday announcing the winners in Washington D.C., which was live­streamed online. She wowed the audience by announcing there were so many extraordinary models submitted that 10 schools were chosen, instead of the five originally planned. President Barack Obama participated in the event via video, congratulating the winners and stressing the need for high school students to receive an education that will prepare them to compete with others throughout the world for jobs. Around the country, some educators, including those at Summit, hosted viewing parties to hear the news. Many details about Summit’s new school, to be called Summit Elevate and located in Oakland, still need to be worked out, Tavenner said. However, she was excited about the Summit proposal’s new partnerships with the Oakland school district, Mayor Libby Schaaf’s office, Gensler Architects, the California College of the Arts and the Silicon Valley Schools Fund. Tavenner said she hopes to open the school in the fall of 2018, with a 9th-grade class of 100 students. The school will add a new grade level each year up until 12th grade, which is Summit’s current model. The charter organization now includes 10 schools. Summit Elevate, Tavenner said, would expand on some of the charter’s key components. She said the new school is expected to allow students to explore career options more deeply. Summit plans to share what it learns with other educators throughout the country. This year, about 100 schools are using its learning platform, after receiving training in its personalized learning program at a “Summit Basecamp” over the summer. Tavenner said a detailed budget for spending the $10 million has not yet been created and that Summit still needs to find a specific location for its campus. “It’s a phenomenal city, where hopefully we can make a contribution,” she said. Oakland Unified Superintendent Antwan Wilson echoed Tavenner’s enthusiasm. Rep. Nancy Pelosi, D-San Francisco, presented Summit’s award during the live event, saying its drive to continually improve was a key characteristic of the school. Vista High plans to expand its current pilot personalized program to the entire school, in partnership with Digital Promise. “We are so excited for the coming year and to build a school that encourages our students to explore their interests and passions, and empowers them to take on local and global challenges,” said Principal Anthony Barela, in a prepared statement. Rep. Kevin McCarthy, R-Bakersfield, presented Vista’s award to Barela. “You look excited about the future,” McCarthy said. “And we’re excited about the lives you’re going to change. RISE High will offer services at several sites in Los Angeles, along with flexible schedules and access to technology, with a focus on building strong relationships with students. “We are excited to be a Super School and to be an integral part of creating a systemic shift in how we create pathways of success for our students — especially those who have been historically left out of the narrative,” said Kari Croft, school founder, in a prepared statement. Leon Wieseltier, a member of the XQ board, praised the proposal for its empathetic approach to students. “All schools should be a revolution in the lives of children,” he said. Other winners from across the country are: New Harmony High in Venice, Louisiana; Furr High in Houston, Texas; Grand Rapids Public Museum High in Grand Rapids, Michigan; Powderhouse Studios in Somerville, Mass. 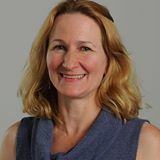 ; Brooklyn Lab High in New York City; Delaware Design Lab High in Newark, Delaware; and Washington Leadership Academy in Washington, D.C.
Tavenner will be a speaker at the EdSource Symposium next month. I don’t think you can call a hypothetical future miracle school (the one in Oakland) a school. It’s only hypothetical. I think it’s fascinating and ironic to see all these elected officials smiling and celebrating when THEY could be part of the solution with the billions that are already in the public education system and which so many seem so mystified or unwilling to really change….